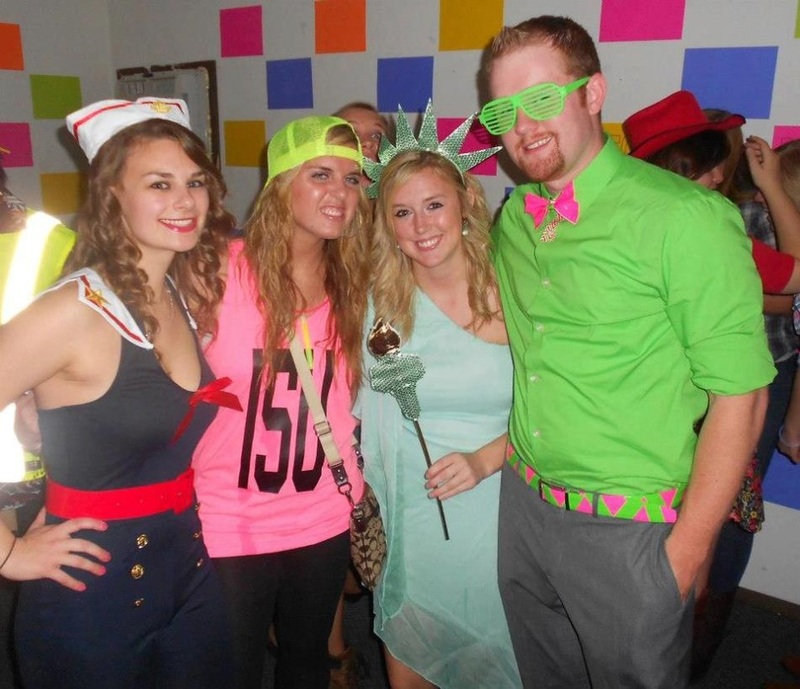 We’ve all heard of the infamous hoedown, neon, ‘Merica and toga theme parties. They are so cliché! So the first ISU PRSSA social enabled members to celebrate all four clichés in one night instead of four. Cowboys and cowgirls gathered around the first apartment, which was hoedown themed. As the country music played, members got to know each other in a more casual setting. Members posed for pictures with an authentic wagon wheel, haystacks and cow-themed balloons. Lindsey Probst, director of development, even created, “You know you’re a redneck when…” signs. Next door to the first cliché apartment was the neon themed apartment. The neon colored paper that covered the walls really fit with the theme. Among the bright walls was techno and hip-hop music and glow sticks galore. Members definitely dressed the part by wearing their most outrageous colors. Whether there were tutu’s or fanny packs, the neon cliché did not disappoint! After some time, everyone gathered to the third themed apartment, ‘Merica. This patriotic apartment consisted of different red, white, and blue props, with an American flag backdrop for photos. We got jiggy with it to some USA themed tunes and were able to meet a number of famous USA celebrities. There were special appearances by Lady Liberty (Kaitie Ries), Uncle Sam (Ryan Ward), Joe Biden (Brian DePasqua), a lovely sailor (Lisa Crocco) and an Olympic gold medalist (Shelby Ray). After partying in the USA, we transitioned to a Greek toga theme. The apartment was decorated in gold and white and had two ancient Greek ruin statues to take you back to the Grecian times. Members concluded the night in togas dancing to college-themed songs. “Having themed socials allows for members to really have fun, get creative with costumes and decorations, and build friendships within the Chapter. Almost everyone who attended dressed up in some way. These socials are a great way to get to know people within the Chapter, so if you couldn’t make it to this one, I really encourage you to attend next time!” said Kaitie Ries, president of ISU PRSSA. Special thanks to Lindsey Probst, Kim Nowlan, Heather Van Buskirk, Kaitie Ries and Kelsey Carey for letting members celebrate the clichés at their apartments. Although the first apartment social of the semester is over, there is still one more to look forward to this next semester. Keep checking the blog for more events ISU PRSSA is planning in this semester. Before you know it, you may stumble upon the next posting about a new Chapter social! 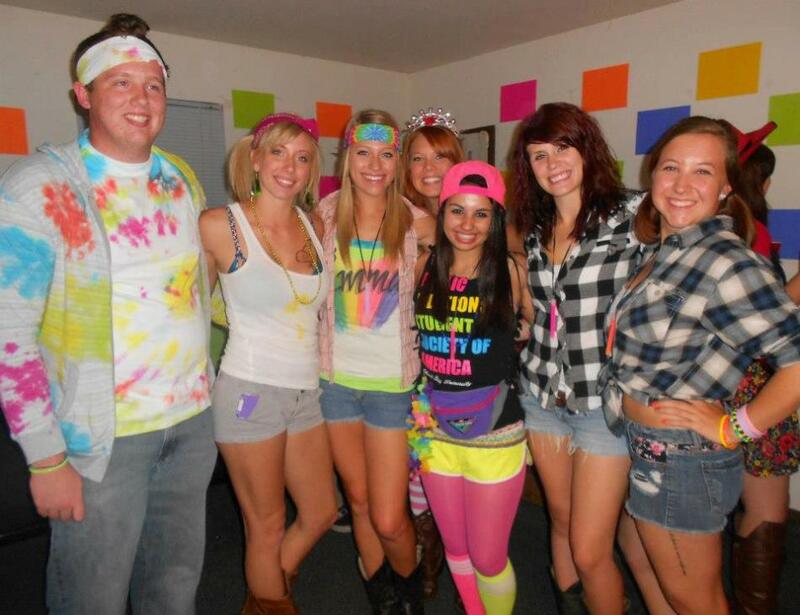 Members and friends show their true colors at the neon themed apartment! 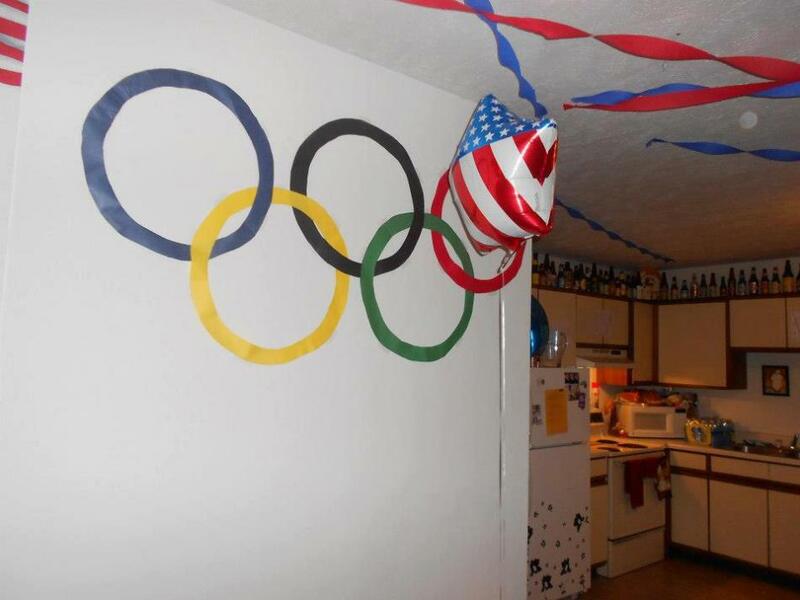 Olympic rings at the ‘Merica themed apartment were the ultimate decoration, helping members transition to the Greek themed apartment! 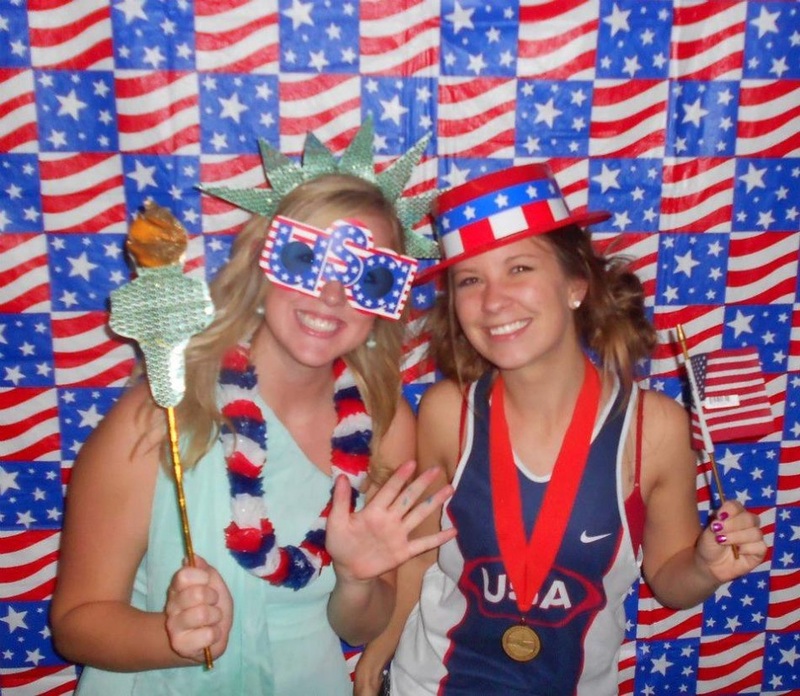 Lady Liberty (Kaitie Ries, ISU PRSSA President) and Olympic gold medalist (Shelby Ray, Relations member) portray patriotism at the ‘Merica themed apartment! Even with their busy schedules, Executive Board members, Lisa Crocco, Kelsey Carey, Kaitie Ries and Bruce Kennedy show their love for college clichés! ISU PRSSA is dedicated to giving back to the community, so every month our organization gets involved in a philanthropic event either on campus or in the Bloomington-Normal area. 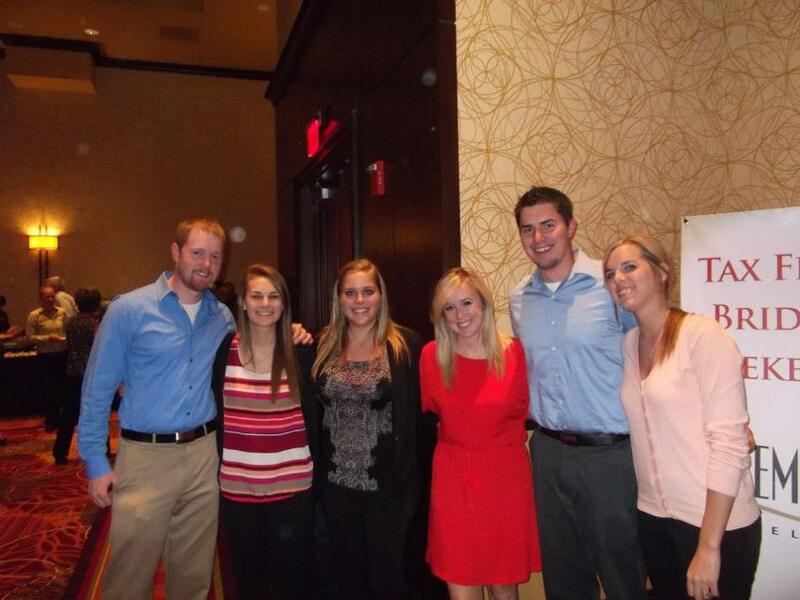 This month members of ISU PRSSA volunteered at the March of Dimes Chef’s Auction. It was a rewarding experience to start the school year and a great way to meet other members of the Chapter. The March of Dimes mission statement, “We help moms have full-term pregnancies and research the problems that threaten the health of babies,” is important for people to understand because all proceeds raised go toward healthcare for moms and their babies. This mission also helps families who have babies in intensive care. As a member of ISU PRSSA, I can speak on behalf of the Chapter when I say how happy we were to be a part of this event. This event was not only rewarding because we knew we were helping babies, but it was also a lot of fun. Before the auction started, local chefs cooked food that was available for testing for an hour. Luckily for us, we got to sample the food and began the event on full stomachs! During this time we helped sell raffle tickets for three different prizes. Once everyone had a bite to eat, the auction officially started. During the live auction we helped pass out the prizes to the winners and got to interact with all of the attendees. After the live auction we also assisted during the silent auction. Volunteering for an event that raises money for the health of unborn and newborn babies felt beyond rewarding. I am glad I know more about March of Dimes and am so proud that ISU PRSSA dedicates the time to help organizations such as this one. The March of Dimes event is one of many that ISU PRSSA will contribute to this semester and I can only hope for them to be as fulfilling as this one. Keep a look out for more events where ISU PRSSA gives back to the community! 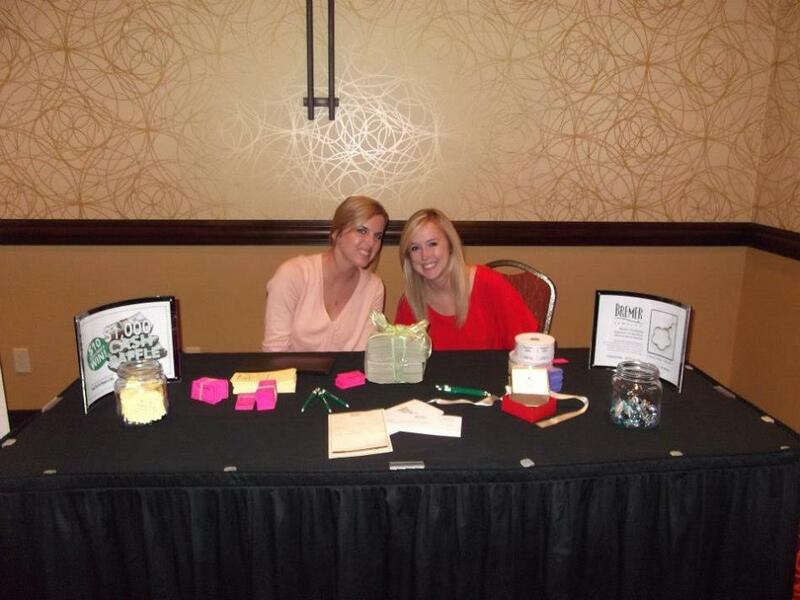 Pictured left to right: Kelsey Carey, treasurer and Kaitie Ries, president working the raffle table. Executive Board pictured left to right: Bruce Kennedy, secretary, Lisa Crocco, vice president, Kim Nowlan, historian, Kaitie Ries, president, Kyle Slamans, national liaison and Kelsey Carey, treasurer all came out to volunteer! 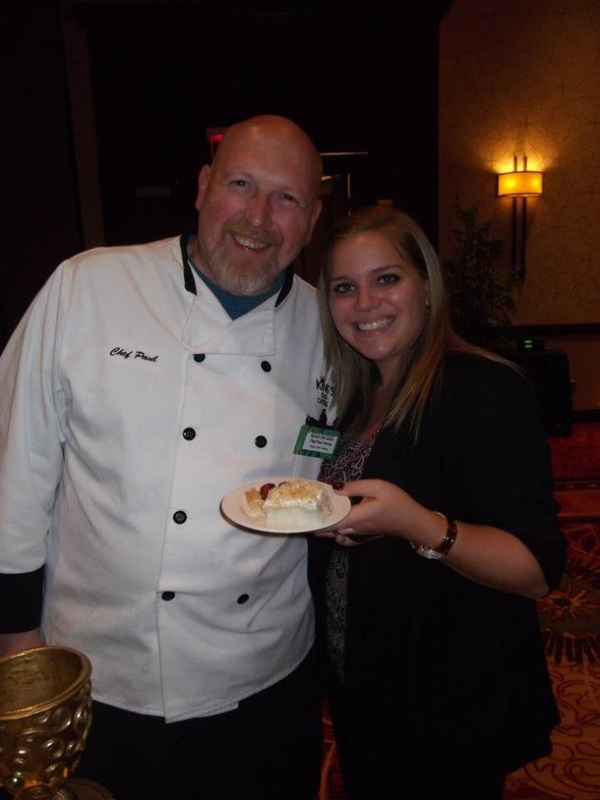 Pictured left to right: Chef Paul and Kim Nowlan, historian enjoying some yummy dessert!